Lumo Energy unbiased review: How do they compare? Interested in using just an app to manage your energy? Lumo can offer you just that, and an unbiased view of all the other tariffs provided by other suppliers out there. Let’s take a look and see what Lumo’s customers are saying about them. 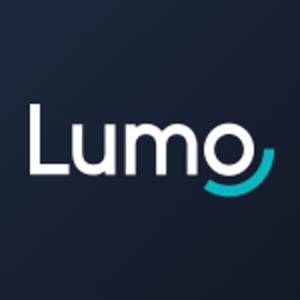 Originally a price comparison site, Lumo found out that switching providers can be frustrating, confusing and inconvenient. Lumo decided to launch their own simple dual fuel tariff, which can be managed exclusively through the Lumo app. They claim to offer customers transparency and an unbiased view of available tariffs. Unfortunately, the Lumo App-only tariff is only available in some areas of the UK. To see if the tariff is available in your area and how much it might cost you, click here. Out of Lumo’s current 17 reviews, 59% of them are positive, 24% are negative, and the rest fall somewhere in the middle. Although online reviews aren’t always valid or precise, you should still take a look at them before making any big decisions about your energy supplier. They have no idea of what customer service is – not providing a number, or any immediate response mechanism (e.g., online chat) seems odd to the point of being rude – shows how much they value customer service and therefore value their customers. As Lumo only currently has 17 reviews on Trustpilot, it is hard to say if their ratings paint an accurate picture of the energy company, however, so far they have a stellar 4-star rating. Had a very bad experience with EDF who I will never deal with again. Lumo is an excellent company with a very simple to use the app. I know exactly where I am with Lumo and am very pleased I switched to them. I can’t contact them in any way, their online form won’t send, and they have no telephone number. How can anyone communicate with them if they have an issue? Disgraceful service. Lumo might be an excellent fit for individuals that would like to try managing their energy account entirely via their simple app. As Lumo is only available in some regions of the UK, there aren’t many reviews to take into consideration when gauging how Lumo matches up against its competitors. As an independent price comparison website, Lumo will show you the best tariffs for you, regardless of whether they offer it. Zog Energy unbiased review: How do they compare? Powershop UK unbiased review: How do they compare?